The Lessons in a Backpack (LIAB) program was developed in 2009 in partnership with teachers and other educators. hold opportunity for inquiry based learning. Most lessons also have a “prop box” of materials stored at the Classroom Support Centre West. Lesson plans are designed to engage children in making personal connections with nature and in thinking critically about human impact. There are resources and extension activities in each lesson, so teachers can continue with key messages. Below you will find all current lessons in the program – lessons that reflect the unique natural environment of our area. If you have an idea for a lesson topic, or would like to speak to GBBR staff about having a lesson delivered with your class, please email [email protected]. This lesson introduces students to the concept of maps as representations of places to develop spatial thinking and basic mapping skills. Students will investigate the similarities and difference of various animals as seen through their tracks. Students learn the basics of track identification, make animal tracks using molds, explore how animals move, and learn to walk quietly to observe wildlife. 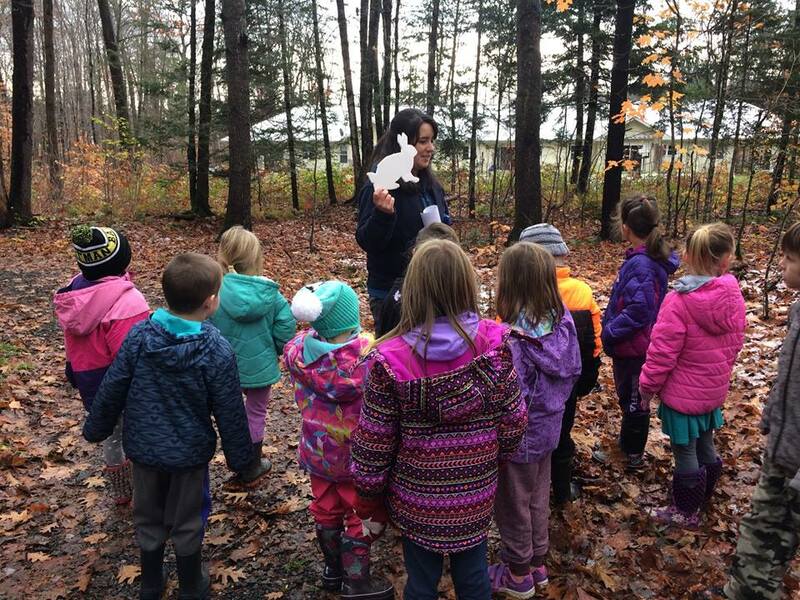 Students learn about the changes that local wildlife go through in the fall to prepare for the winter season through games, demonstrations, and exploration of animal habitat. The Earth gives us everything we need to live. Everyday our actions have an effect on the Earth. We call this effect an Environmental Footprint. In this lesson, students consider their behaviours and habits and how they impact the environment. Use this slideshow with the Our Environmental Footprint: Introduction Lesson. We use energy for everything we do, from playing basketball to baking cookies to sending astronauts to space. Energy comes from nature, and in different forms. In this lesson, students will explore sources of energy and the amount of energy they consume everyday. Every time we make a choice in relation to our food consumption, we have an effect on the environment. There are simple N words to remember to reduce our impact: near, natural, naked, and now. This lesson will have students look at the environmental impact of their food consumption. Use this slideshow with the Our Environmental Footprint: Food Lesson. The world is a complex interaction of air, water, land and living things that are all interconnected and interdependent. When we pollute the air, water, and land, we are polluting ourselves. This lesson will ask students to critically assess their own waste production. How do you move? Every single day we go to school, to work, to our friends’ houses. The way that we move makes a big difference. In this lesson, students will explore how the transportation decisions they make impact the environment. We use water to grow our food, support industry, and of course, to drink. Water comes from the environment and provides food, transport routes, recreation, and other services. Keeping water healthy ensures these vital services are maintained. This lesson will have students look at the way that they use water everyday. This lesson will introduce students to plant basic needs. Students will explore soil and learn how it is a resource plants, animals and humans depend on. Students will discuss how soil can be impacted by human activities and how we can protect it. Students will recognize that pollinators play an important role in food production, gain an understanding of the parts of plants involved in pollination, and see the way pollinators aid in dispersing pollen. They will gain an appreciation for the diverse types of pollinators in Canada. Students will recognize that bats are not scary but instead complex animals that have thoroughly adapted to their habitat and needs. They will gain an understanding of Ontario’s bats structural adaptions, life histories, and echolocation. They will learn about White Nose Syndrome and the impacts on Canada’s bat populations. Animal skulls can tell us many things about creatures and how they survived in their environment. Simple observations of an animal’s skull can tell us what the animal ate, whether the animal was predator or prey, and which senses were most important to the animal’s survival. The matching slideshow presentation to If Teeth Could Talk: Examining Mammal Skulls. After learning to identify some of the macroinvertebrates found in wetlands, students play Macroinvertebrate Mayhem, a game which demonstrates how human activity can impact wetland habitats and cause macroinvertebrate species to decline or disappear. Through this lesson, students explore the strategies and adaptations of local wildlife for coping with our cold and snowy winter environment. Students should be familiar with the concepts of minerals vs. rocks and the rock cycle. 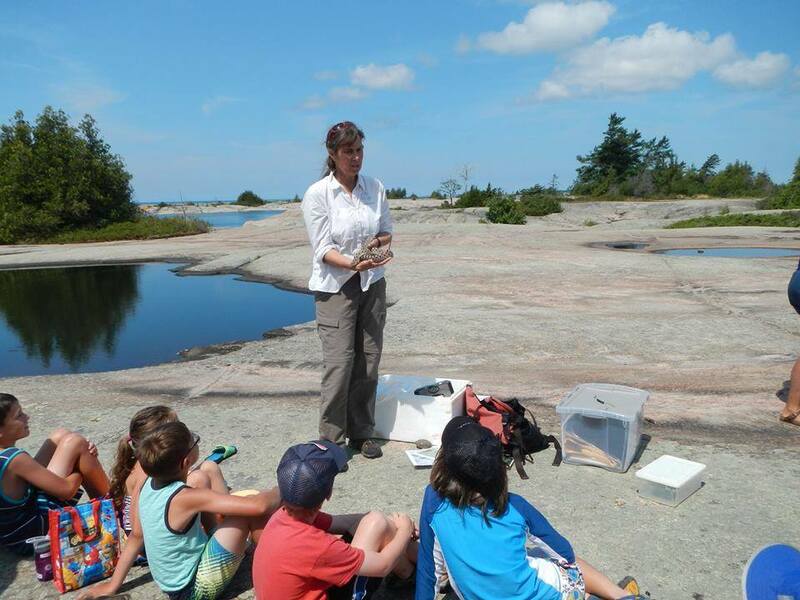 Students will connect this knowledge with local information, answering: What are common rocks and minerals in eastern Georgian Bay? How were the rocks here formed? What is the evidence? Students will recognize that only a small amount of water can be used for drinking and other needs. They will become familiar with the quantity of water Canada has compared to other countries and the main ways water is used in Canada. They will learn the need for water conservation. Can be used as supplements to the Georgian Bay Water Festival, or used independently. Students will be introduced to groundwater pollution and the impacts this may have to the surrounding environment. The activity encourages students to ‘solve a mystery’ of a fictional pollution incident. Can be used as supplements to the Georgian Bay Water Festival, or used independently. Students will observe, answer questions and play a game together, followed by discussion of the results and potential issues. Can be used as supplements to the Georgian Bay Water Festival, or used independently. 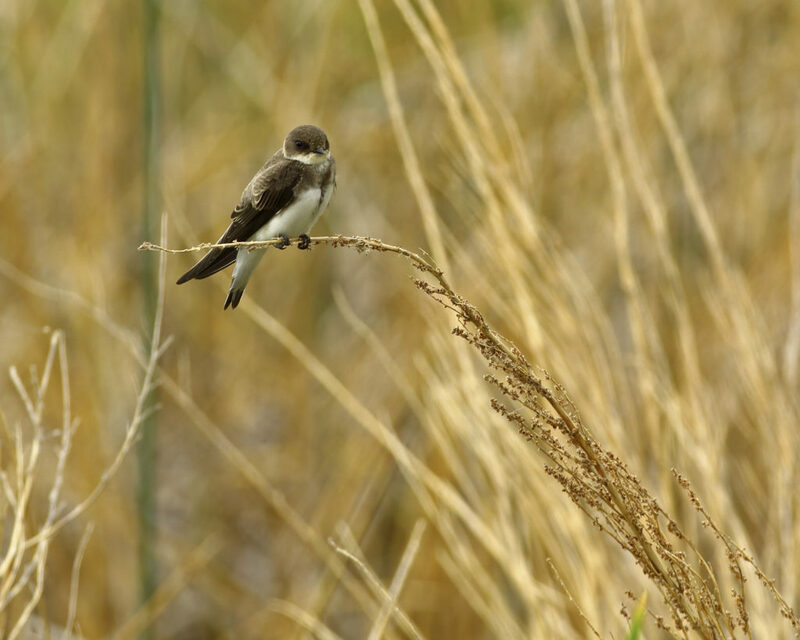 Use this slide show with the Invasive Species: Understanding Ecology lesson plan. Students develop an understanding of the wastewater treatment process in an interactive way, as well as an alternative way of wastewater treatment: a constructed wetland. Can be used as supplements to the Georgian Bay Water Festival, or used independently. The five-lined skink is listed as species at risk of special concern. Students participate in a game that examines the reason for the decline of five-lined skinks and discuss actions that can be taken to preserve biodiversity. Lake sturgeon are a threatened species – they are likely to become endangered if the threats to them are not reversed. Students participate in a game that examines the historical interactions between lake sturgeon and humans.  In this introductory lesson, students learn what biodiversity is, the three levels of biodiversity, its importance, and about the biodiversity found in the Georgian Bay Biosphere Reserve. Students learn how invasive species reduce biodiversity in local environments – specifically the threat of common reed to coastal wetlands of the Georgian Bay – by engaging in a game based on the common “Murder Handshake” game. The rocky shoreline of the eastern Georgian Bay is an excellent location to see primary succession in action: first to grow on the bare rocks are the lichens, then mosses, small plants, small shrubs, and finally climax species – towering white pines. Students will investigate changes and hypothesize about future landscape changes. Without fungi, forests not survive. Students are introduced to the ecological roles of fungi in the forest, relevant vocabulary, and various forms of the fruiting bodies. Students will search for fungi in surrounding forested areas! Students will discuss the importance of decomposition in the cycling of nutrients in the environment. They will be introduced to the main decomposers of rotting logs – macroinvertebrates and fungi. Students will have an opportunity to roll rotting logs and record their observations. Through this lesson, students will explore the history of water treatment in Parry Sound and explore the processes used in treating the water. Through this lesson, students will consider the Parry Sound Pumphouse as a piece of our local heritage. They will explore the key players in its development, and how it worked. Students will hike along the Rose Point Trail in Parry Sound, Ontario. They will look for evidence of human change, and learn how macroinvertebrates can be used to measure the impact of change. We will also consider the history of this trail and area.